Always losing your keys? If not, we bet you know someone who is! This is the perfect gift for them (or treat to yourself!) This storage box is natural wood with a distressed look, and has a glass top lid. 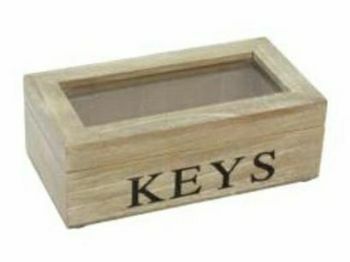 It reads the words 'KEYS' in black text.